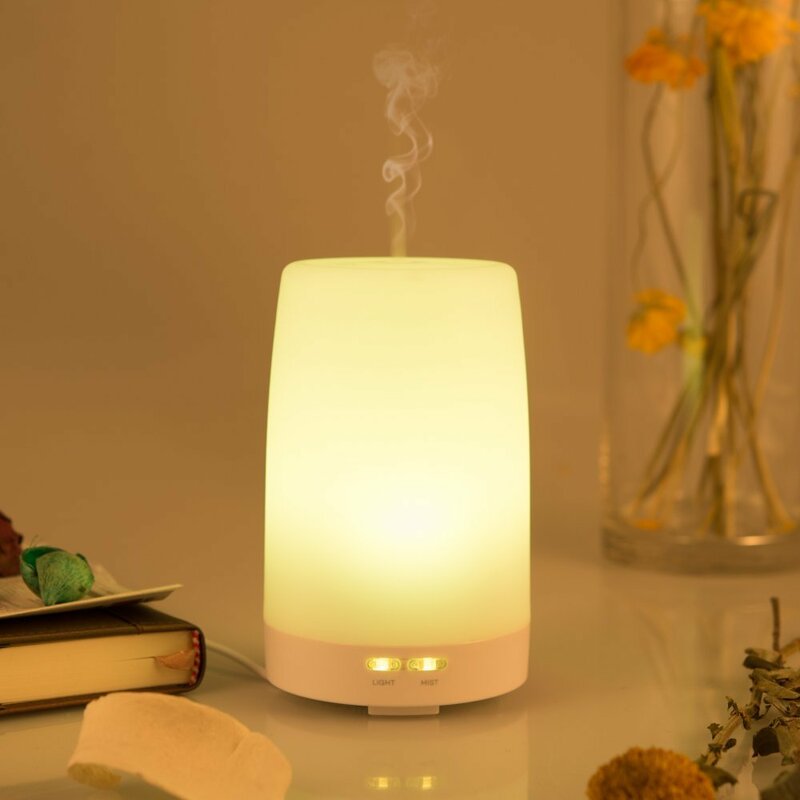 TaoTronics Portable Aromatherapy Essential Oil Diffuser and Ultrasonic Cool Mist Aroma Humidifier with Color Changing LED Lights is awesome! I can't even begin to tell you how awesome this little diffuser is. Yes, it's little but big enough to be used in a bedroom or small room as a cool mist humidifier and essential oil diffuser. I also love the color changing lights, as do my kids. This is perfect to set the mood or to put on while your child watches the lights change and drifts off to sleep. The water fill line is clearly marked and the steam output is the perfect amount for just about any room. I also like that it has an auto shut off function when it runs out of water so I don't have to worry about turning it off. It's easy to clean, much easier than a full size cool mist humidifier which is a huge plus for me. I highly recommend this TaoTronics Portable Aromatherapy Essential Oil Diffuser! With a pair of heat-resistant gloves and fabric brush included, the steamer is a full package of versatility. 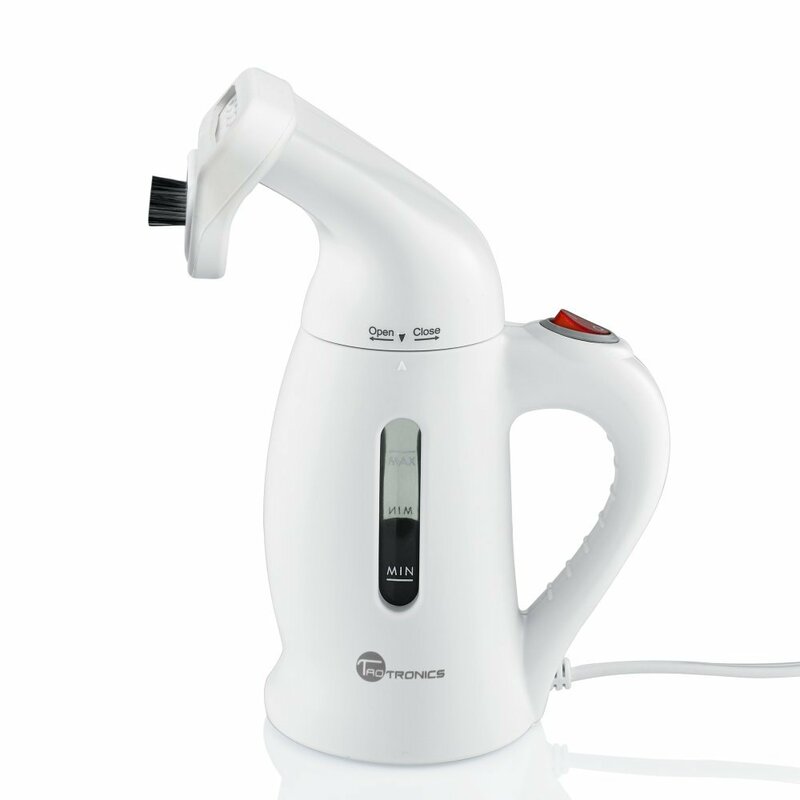 Easy and convenient control with only one on/off switch, everyone can use this steamer. 800 watt power delivers the most efficient steaming, with overheat protection, it automatically powers off when water runs low. TaoTronics Handheld Portable Fabric Steamer is perfect! I absolutely love how quickly the water heats up! 90 seconds and your ready to go! I hate ironing so I prefer to use a fabric steamer which I also feel is much more gentle on fabrics making clothing last longer and saving me money in the long run. TaoTronics Handheld Portable Fabric Steamer is extremely easy to use, very compact and lightweight. I don't travel very often but this would be perfect for getting wrinkles out of clothing once they were unpacked from a suitcase. I also love that it automatically powers off which is great because I often forget to turn things off. I highly recommend this TaoTronics Handheld Portable Fabric Steamer! This diffuser is perfect. It gives a wide range of options for the color you want to use. It is quiet and disperses the mist well. I am using it presently in a large bathroom where we keep the cats' litter box. The bathroom smells great! It will turn off automatically if the water level is too low. I am thinking of buying another one.